SR 482 (Sand Lake Road) east at SR 527 north / CR 527 (Orange Avenue) south at Pine Castle. Photo taken May 5, 2018. Florida 482 follows Sand Lake Road east from Interstate 4 at Dr. Phillips to Florida 527 (Orange Avenue) at Pine Castle. McCoy Road continues the state road east to Belle Isle and Florida 528 (Beachline Expressway) at Boggy Creek Road. 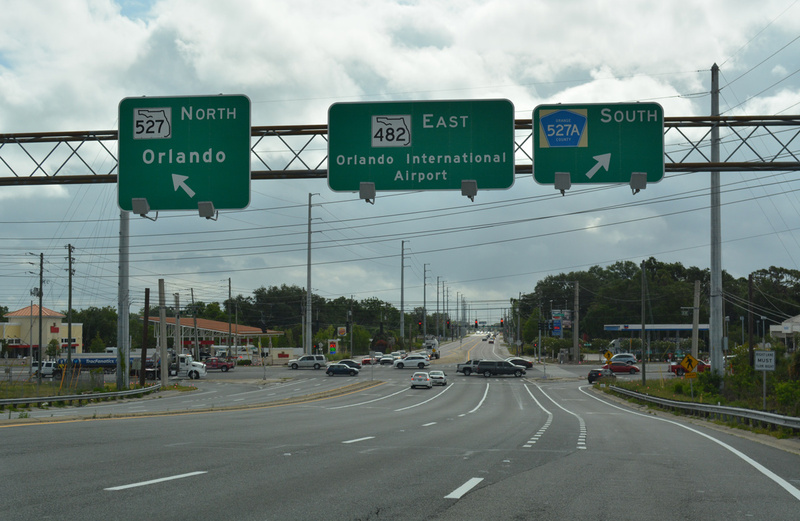 Sand Lake Road represents the original alignment of Florida 528 before construction of the western extension of the Bee Line Expressway to I-4. 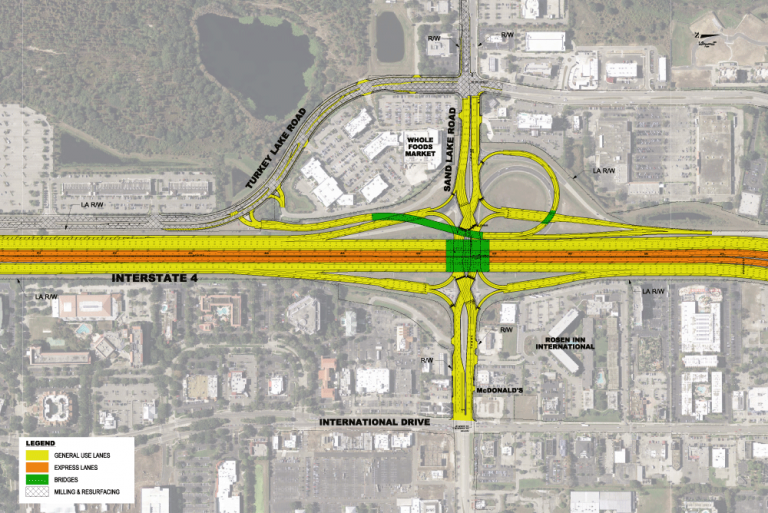 The I-4 Beyond the Ultimate Project will extend the tolled Express Lanes southward from Kirkman Road to SR 528 (Beachline Expressway). Included in the $800 million project is conversion of the parclo with Sand Lake Road into a diverging diamond interchange (DDI), with the loop ramp from SR 482 west to I-4 west realigned to instead connect with Turkey Lake Road. Project letting is anticipated for July 8, 2019. Florida Department of Transportation (FDOT) Sand Lake Road (SR 482) Widening Project. FDOT Project Flier, October 4, 2016.